Why does an Arctic hare have tiny ears? To conserve heat! How does a walrus feel around for food on the bottom of the sea? With its whiskers! 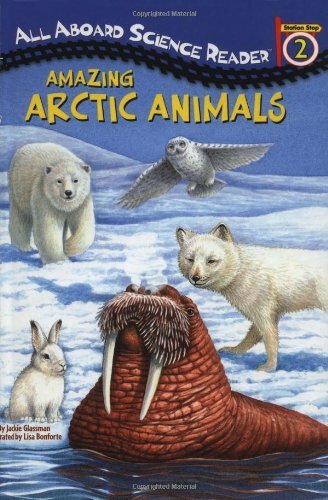 Learn cool facts about the arctic fox, the beluga whale, the snowy owl, and more in this book. About Lisa Bonforte (Illustrator) : Lisa Bonforte is a published author and an illustrator of children's books. Some of the published credits of Lisa Bonforte include Rainforest Animals, Ponies (All Aboard Science Reader), Cats Tattoos.